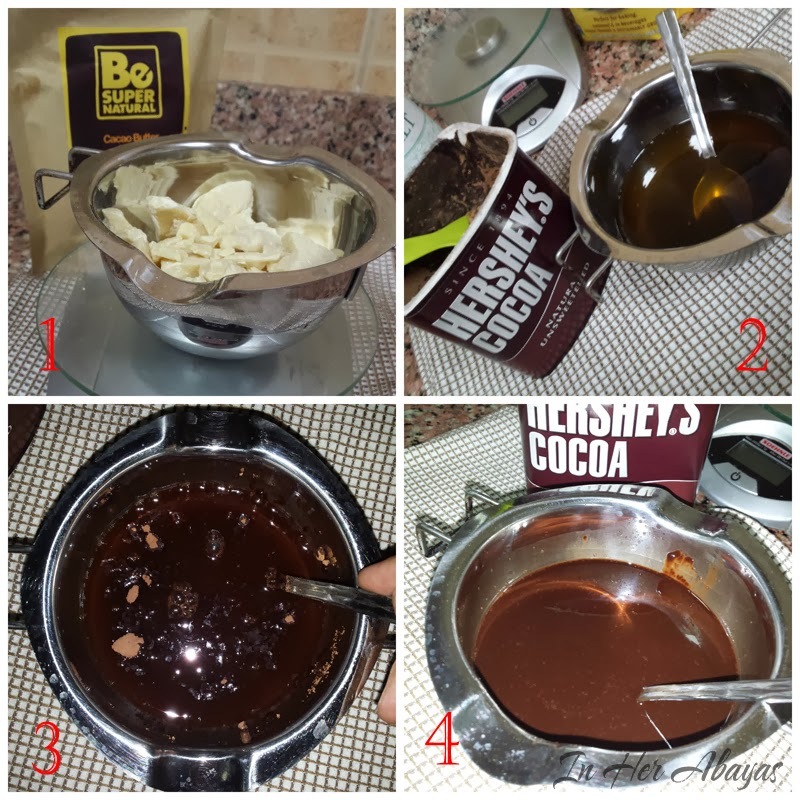 today i'm sharing with you the recipe of homemade chocolate ... super easy and very healthy . 4 or 5 months ago i started a dairy free diet and watching my intake of soy products -which can be very hard as most commercial food contain soy or soy oil - and since most chocolates and even the 'healthy ' and 'diet' labeled ones contain soy and milk traces , i decided to make my own at home with ingredients i like and that i'm sure of their origins..
- 100g of Cacao butter. - 6 Tbls of natural unsweetened cocoa powder . - a pinch of salt . 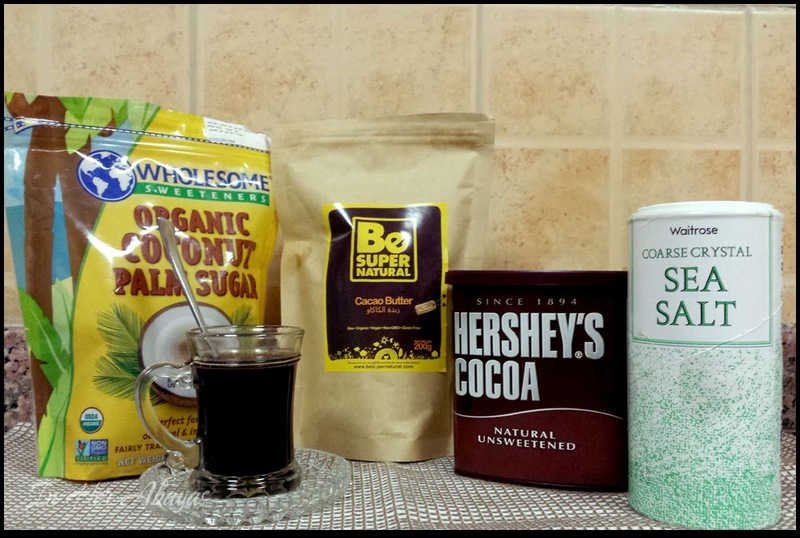 - and your favorite sweetner , here i made some syrup with coconut palm sugar but i didn't like the result so i ground some more coconut palm sugar and used a couple spoons . 1- Weigh 100g of Cocoa butter. 2-melt it in a double boiler. 3- add your sugar and cocoa powder . 4- stir the mixture until it's silky smooth . 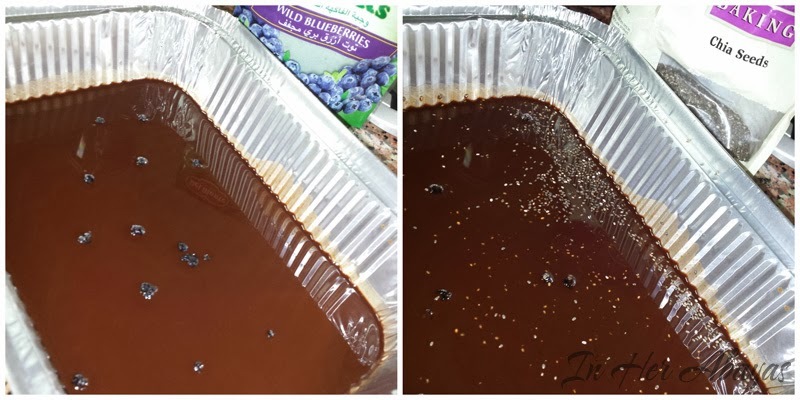 I poured some in this tin recipient and added some dried blueberries and Chia seeds to make an exta rich chocolate bar that I'm breaking into big and small shanks after leaving it in the freezer for 20-30 minutes . Now this is my favorite : dark chocolate with raspberry just delicious !! 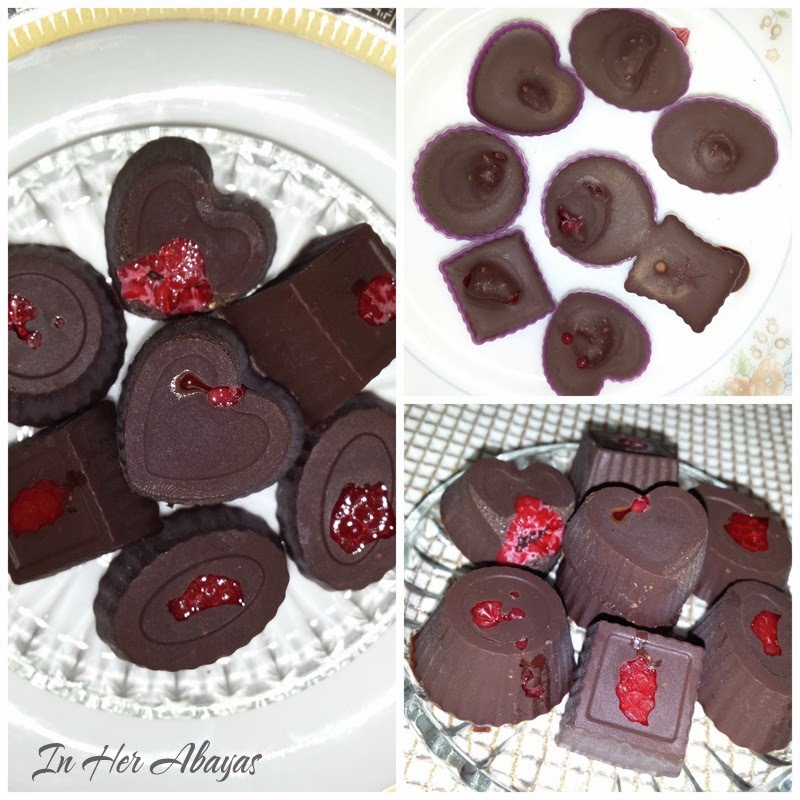 I used tiny silicon molds to make these ..
- you have to store this chocolate in the fridge , it doesn't melt in room temperature but i looses its shape . i hope you like this recipe and please let me know if you make it too ! !